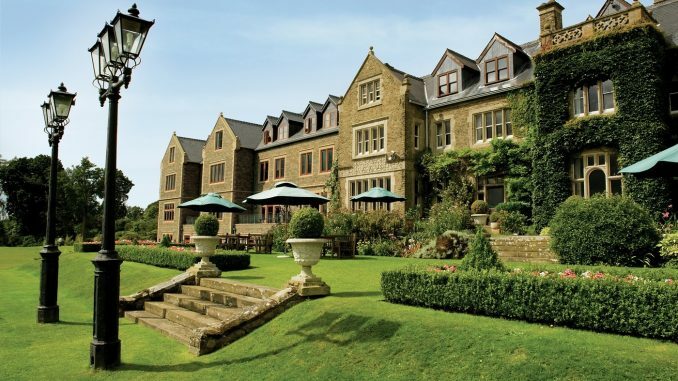 Less than an hour’s journey from London by train, I looked forward to a weekend stay at South Lodge Hotel in Horsham. From perusing the photos, I could not wait to explore the beautiful manor house as well as the 93 acres of surrounding land. Being a real foodie, I had to include a visit to The Pass, the in-house 3 AA Rosette award-winning restaurant. Checking into the hotel, I was delighted to find out that my room was the Earl of Athlone suite. This spacious room had everything you could wish for and felt undeniably grand yet also homely. I loved the tasteful furnishings, colour scheme and larger than life curved TV screen above the fireplace. The room also featured a very modern bathroom and an elegant roll top bath I could not wait to relax in after exploring the grounds. Within the house there were some wonderful rooms but my favourite by far was the room where afternoon teas were hosted, as pictured. 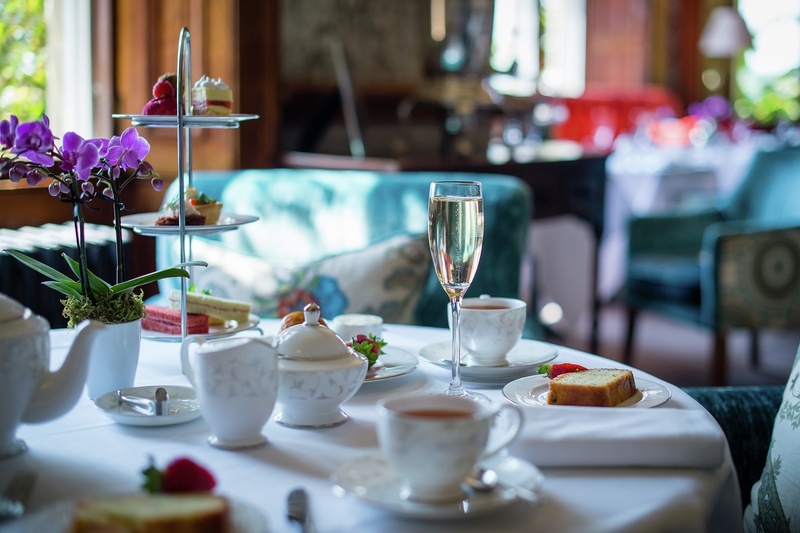 A quintessential English tea experience in modern, cosy and elegant surroundings. 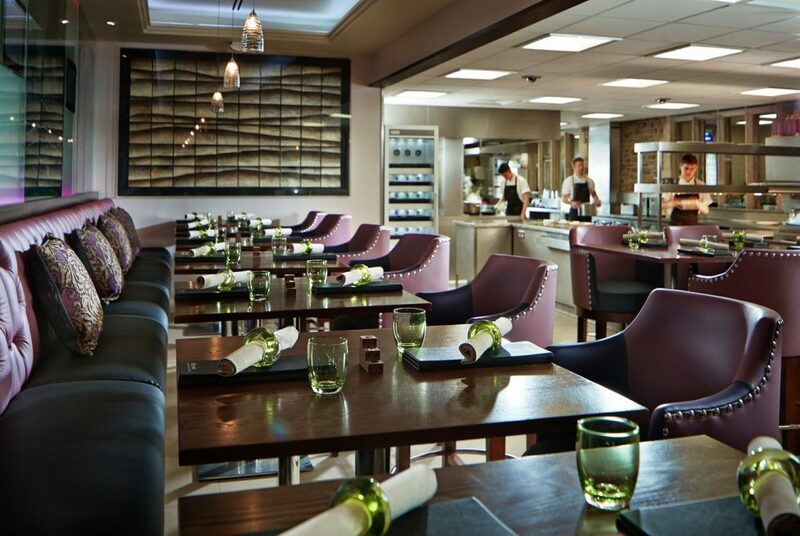 In the evening I visited The Pass restaurant for dinner where guests can look straight into the open plan kitchen as their dishes are being prepared. I opted for the 8-course tasting menu. Talented Head Chef Ian Swainson and his team delivered an exceptional foodie experience with exciting dishes like the smoky Texas bbq pork rib with a pistachio crumb and caramelised honey bourbon barbeque sauce. Duncan the sommelier was incredibly welcoming as well as knowledgeable and selected beautiful wines for me throughout the evening including a wonderful Gruner Vetliner from Austria. 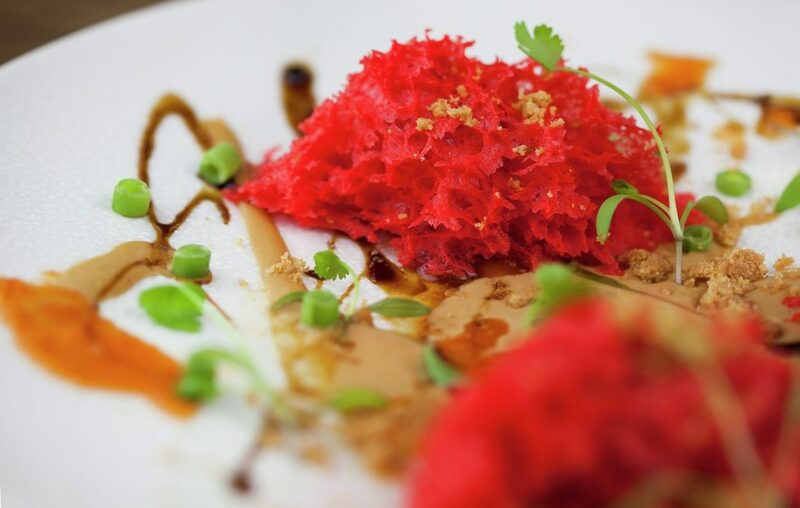 An unexpected showstopper of a dish was the kimchi sponge with peanut sauce, spring onion and roasted rice. Very unique in both textures and flavours and unlike anything I’d ever come across before. At one point I went over to the open kitchen to view the next course being assembled. 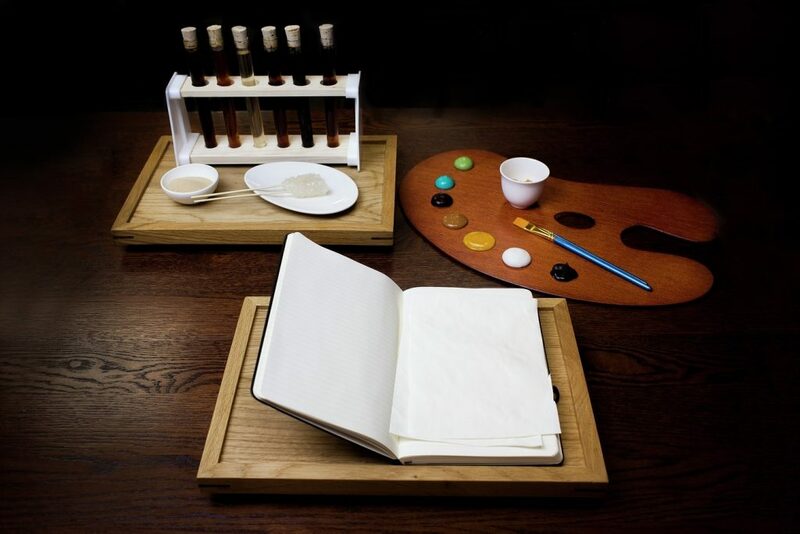 It was the Kombu aged duck breast, consommé, carrot and ginger purée and looked like a piece of artwork in the meticulous attention to detail of each element. For breakfast I ate in a room overlooking the South Downs again and I really admired how the hotel really makes the most of its countryside views. The breakfast is a buffet style, but you can also order a choice of freshly made dishes from their menu, I ordered the pancakes with bacon and maple syrup, which were wonderful. It was a brilliant stay at the South Lodge Hotel, I only wished I could spend the entire week there. 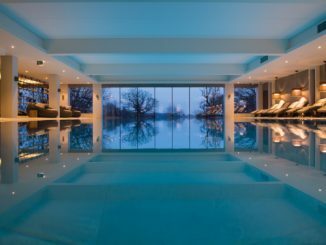 I really look forward to returning once the new spa has opened early in 2019, as the photos and plans look fantastic. 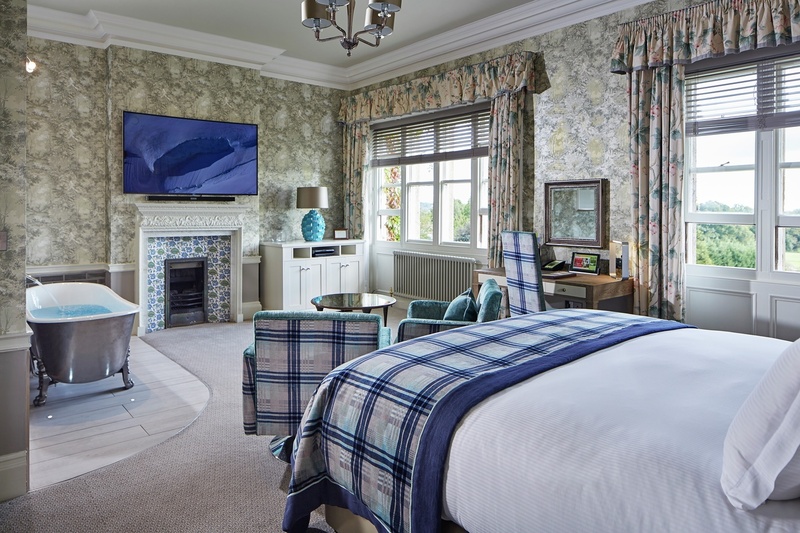 South Lodge Hotel, Brighton Road, Lower Breeding, Horsham, West Sussex, RH13 6PS, England. 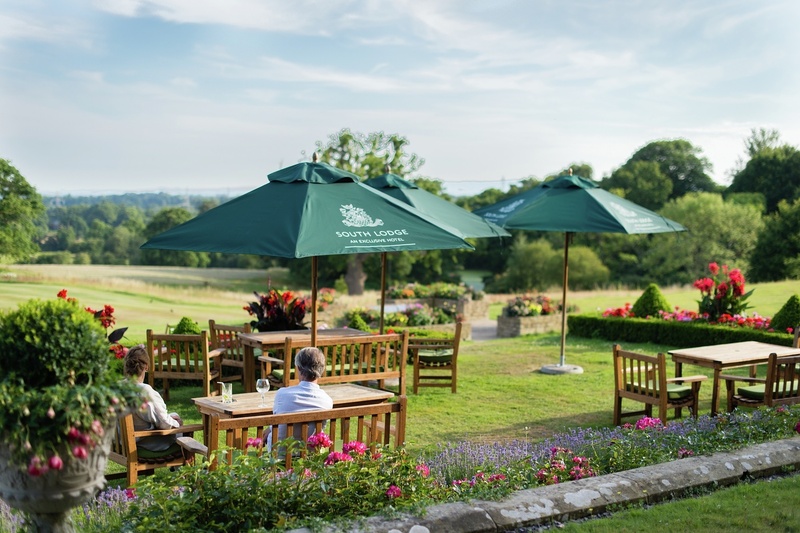 Located in the pretty West Sussex countryside, the hotel is easily accessible by car and has ample parking available. The nearest train station is Horsham, with regular services on Southern Trains from London Victoria Station. Number of Rooms: 89 rooms and suites including complimentary Wi-Fi. Insider Tip: Definitely visit The Pass if you like your food – it’s an amazing culinary experience. Paula Gibson is a London-based personal assistant by day and a freelance travel writer by night.